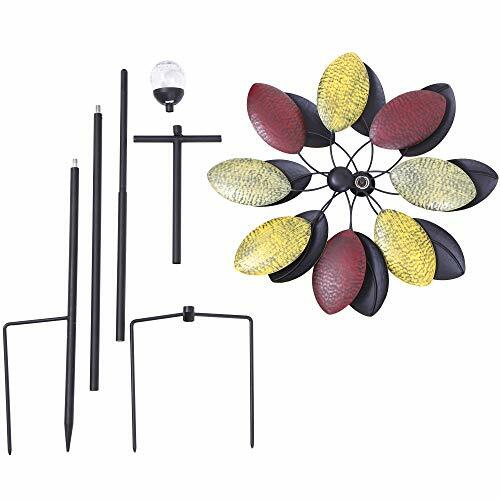 LIGHT UP YOUR GARDEN WITH COLOR AND IMPRESS YOUR NEIGHBORS – Light up the evenings with our yard art wind spinners and add a touch of ambience to your patio, lawn or garden. 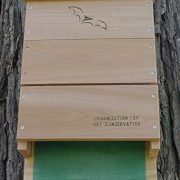 At night, watch as the light softly glows in changing jewel tone colors, easily seen and admired by passers-by but not intrusive to neighbors. Relaxing to watch while spending time in out on the sun porch or yard. 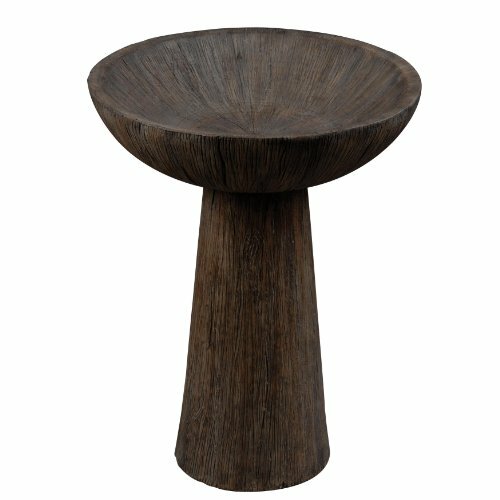 Would look amazing in any flower garden or backyard – an ideal gift for garden lovers. STABLE, STURDY WITH MODERN FUNCTIONALITY & ANTIQUE CHARM – Many wind spinners outdoor come with a single blade that spins in one direction. 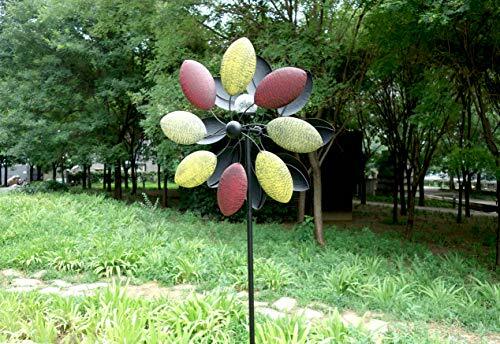 Our solar wind spinner has a solid metallic construction with dual wind motion. The two tiers blades smoothly rotate in opposite directions on sealed bearings. Featuring modern functionality with period charm, our durable yard wind spinners have a stability stake at the base to ensure its firmly planted for windy days. EASY TO ASSEMBLE INSTRUCTIONS FOR SIMPLICITY AND CONVENIENCE – During the day, enjoy the kinetic movement of the wind spinner while the solar panel converts sunlight to electricity. At night, the spinner’s LED light provides an ambient color changing light display. 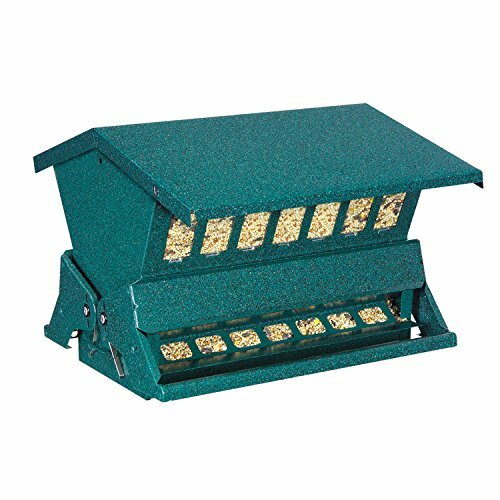 Easy to assemble with easy to follow instructions and no additional wiring. Simply position outdoors in a sunny location using the metal stake and enjoy your garden ornament as it softly glows from dusk. Offering modern functionality with period charm, our lawn wind spinners are of solid metallic construction, that delivers natural movement whenever the wind blows. Between the wind spinner’s blades sit a crackle glass ball, which contains a smart solar panel with LED lighting that emits jewel tone colors once solar charged. Entirely solar powered with easy to follow instructions for installation, no additional wiring is necessary. Simply position outdoors in a sunny location using the ground stakes and enjoy the kinetic movement of our outdoor wind spinners while the solar panel converts sunlight to electricity. 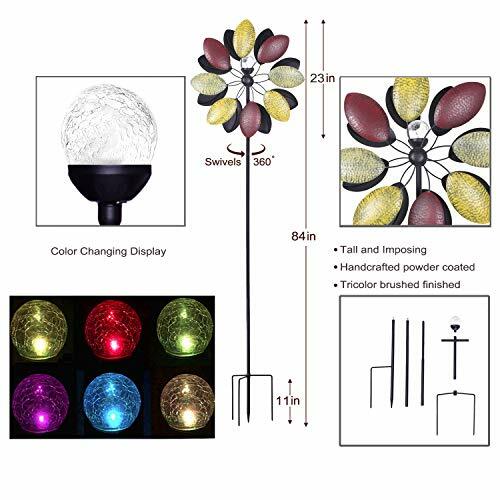 At night, the spinner’s LED light provides an ambient color changing light display. As a Company, we strongly believe in the environmental benefits of solar power and endeavor to sustainably develop innovative, high-quality and reliable solar-powered products. Millions of people are helping save the environment and money by switching to solar power. 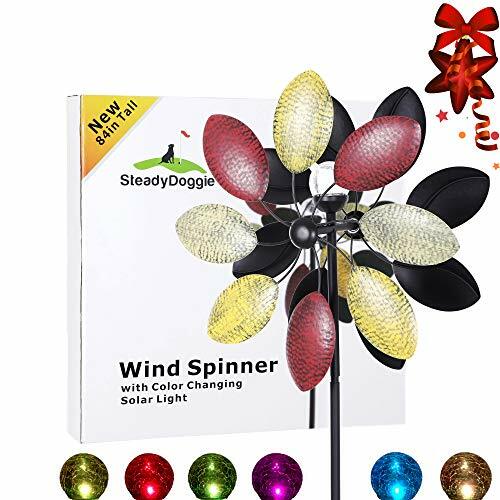 TRICOLOR BRUSHED COAT FINISH WITH MESMERIZING NIGHTLY LIGHT COLOR DISPLAY – Built to withstand all weather, the solid ground stake and wind blades of our kinetic metal wind spinners come with a tricolor brushed coat finish. 3.5 inches in diameter, the crackle glass ball sits between two tiers of gracefully spinning wind blades, offering a stunning display of jewel tone colors for up to 8 hours. A wonderful addition to any garden and would stand out beautifully against a snowy landscape. YOUR SOLAR WIND SPINNER IS BACKED BY OUR LIFETIME GUARANTEE – Our garden wind spinners are designed to help save the environment and our customers money. SteadyDoggie products are also built to stand the test of time. 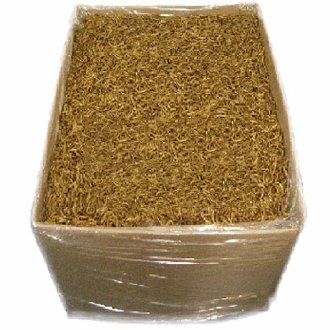 If you’re not 100% satisfied with your purchase we have a no questions asked refund policy. And you may even get to keep the solar windmill spinner so your friends and family can try it out. It’s what we call our Customer Lifetime Guarantee.